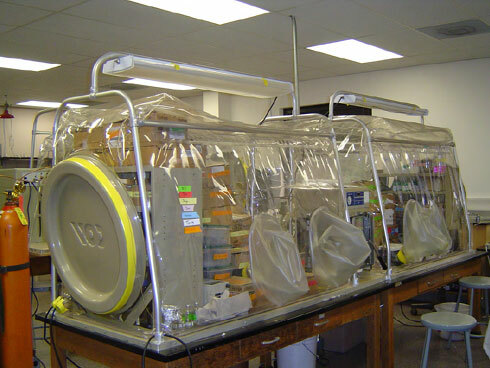 Laboratory studies have been an integral part of many large projects. The “NA First Observations” summary under Natural Attenuation and many enhanced bioremediation projects all involved lab studies. Both the Abiotic project summary under NA, and the 1, 4-dioxane project under Other Compounds, involved extensive Lab work including the use of 14C-labeled contaminants. I maintain a close association with academia to perform high quality lab studies, specifically with Dr. David Freedman at Clemson University. During the collaboration I have developed research projects, provided site samples, reviewed data and/or obtained funding from site owners for nine grad students doing Masters or PhD degrees. Most now have jobs in the environmental industry. The project summaries below are all site related. Citations within the project descriptions are under ABOUT.